With a Flex loan, clients can borrow any amount of money from $500 to $7,500 and have up to 3 years to repay the loan with flexible bi-weekly installments. Our Flex loans have evolved from our short-term loan that we have offered for years and have helped thousands of clients get the money they need. Now, with our Flex Loans, you can get more money for less interest and fees than than a short-tern loan. e want to give you more money for less interest and fees. With a Flex Loan from Cashco, you can resolve most long-term financial issues including cash shortages that continue to pop up regularly. To qualify for a Flex loan, clients must be employed full-time and have been living at their current residence for a minimum of 6 months. They need to be of legal age in the province they reside, have a bank account and a piece of government ID. Flex loans prohibit taking out payday loans. Don’t worry, we make our Flex loans flexible enough to fit your exact needs so you won’t need other loans. We answered the three most prominent questions about our Flex loans below. Q. What is the interest rate for a Flex Loan? A. The interest rate is based on an annual percentage of 49.99%, however, our Flex loans are open loans so you have the option to make extra payments or pay the loan off early without any fees or penalties. This is a great advantage to our clients because if you ever come into some extra money one month, you can pay off the remainder of your Flex loan and save quite a bit of money. Some loans are not open and require you to pay penalties of 5%, 10% or even 15% of the principle if you want to pay the loan off early. So you can rest assured that with Cashco Flex loan, you won’t ever faced with that rotten scenario. Q. What incomes qualify for a Flex loan? Q. What incomes do not qualify for a Flex loan? Q. What are the differences between a short-term loan and a Flex loan? Now when you submit a loan application, it can be approved within a matter of moments and the money can be sent into your account at lightning speed. With Fintech, we are able to process applications quickly and accurately which is great for our clients. We can also make dozens of adjustments in the terms and conditions of each Flex loan we approve so that clients always get the Flex loan that is a perfect fit for them. Every time. Flex loans require credit checks but at Cashco Financial, we do soft credit checks digitally so as to not harm your credit score. Some companies perform hard checks which can really hurt your credit score, especially if you go to several lenders in a short period of time. The first benefit is the flexibility of a Flex loan. When you first take out a Flex loan for any amount between $500 and $7,500, you get that money in your account right away. But what if you needed more money a few months down the road? No problem at all, because clients can increase the amount of their Flex Loan (top it up) once every 6 months as long as they have kept up with their on-time payments. At Cashco, our aim is to help as many people as possible so we always try our best to approve anyone who applies for our Flex Loans. We also perform credit reporting with each Flex Loan which means that Flex Loan payments are reported to the Credit Bureau (TransUnion) so they are a great way to build or repair credit scores. Are you stuck with a bunch of different debts and can’t even begin to figure out a way to organize and make all the payments? Cashco Flex Loans can be a great method of debt consolidation. If you want to pay off several smaller debts and just have one easy monthly payment to keep track of, then a Flex Loan is just what you need. Conveniently have your payments withdrawn from your Cashco Everyday Use account empowered by ATB Financial so that you’ll never miss a Flex loan payment! Good payment history will help boost your credit score, fast! Cashco cares about all of our clients and the communities where we operate. Providing money and helping our clients improve the health of their credit scores elevates and empowers them to get out of debt and qualify for traditional credit. Lining the walls of our offices are large posters of the Cashco Financial Wall that leads a client to conventional credit. It doesn’t matter where someone starts on the Financial Wall. 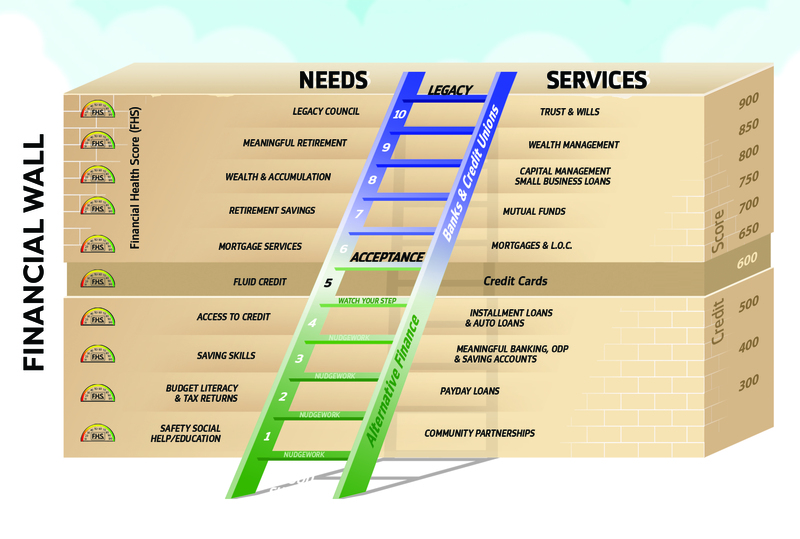 The result is the same; Cashco leads each client up the ladder onto the path of conventional credit. We also understand that sometimes a person may need a little help to rebuild their financial health to a point where they can get the credit they deserve. That’s why Cashco exists, to guide people to financial success.